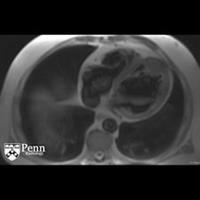 A 55-year-old woman with a history of congestive heart failure presents with fever, hypotension, and a white blood cell count of 22,000. 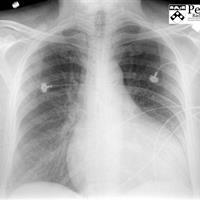 A 43-year-old man presents with chest pain and fever. 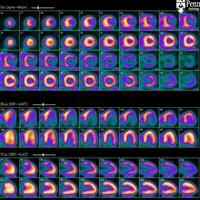 A 53-year-old man with a history of heart murmur and abnormal echocardiogram. 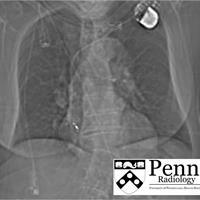 Patient was referred for further evaluation by CT angiography. 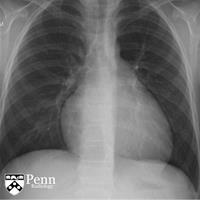 A 69-year-old man with coronary artery disease, hypertension, and hyperlipidemia presents with progressive shortness of breath. He underwent a coronary artery bypass graft one year prior. 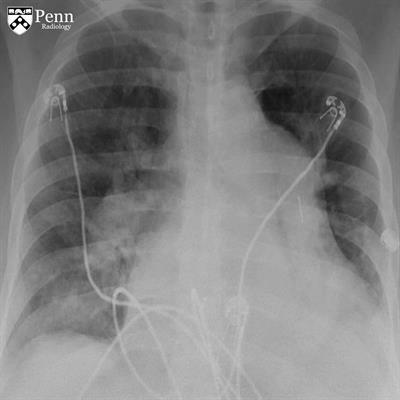 A 27-year-old with palpitations and dyspnea on exertion. 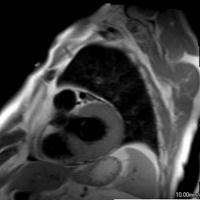 A 65-year-old woman with uterine cancer undergoing imaging workup. 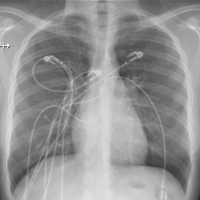 A 62-year-old woman with muffled heart sounds. 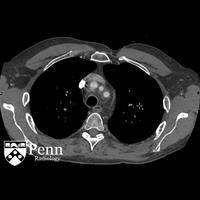 A 50-year-old man with a history of treated base of tongue cancer undergoing follow-up imaging for metastatic disease. 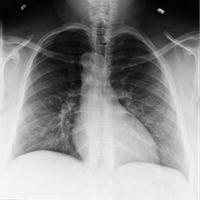 A 30-year-old man status post motor vehicle collision. 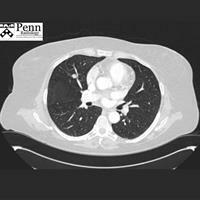 A 35-year-old woman with dyspnea on exertion. 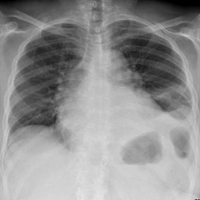 A 58-year-old man with left-sided chest pain. 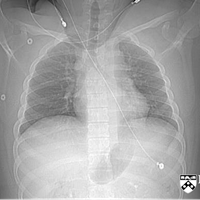 A 70-year-old man with shortness of breath. 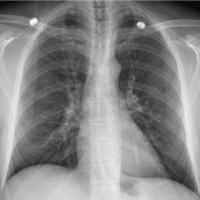 A 43-year-old woman with a history of wheezing. 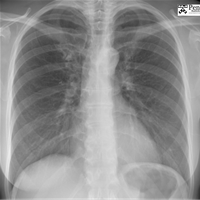 A 42-year-old woman with pleuritic chest pain. 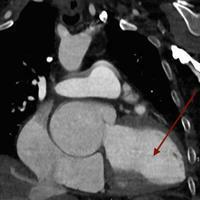 A 64-year-old man with chronic angina. 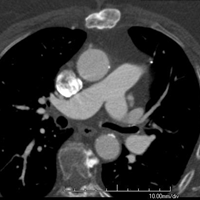 A 78-year-old man with worsening heart failure.